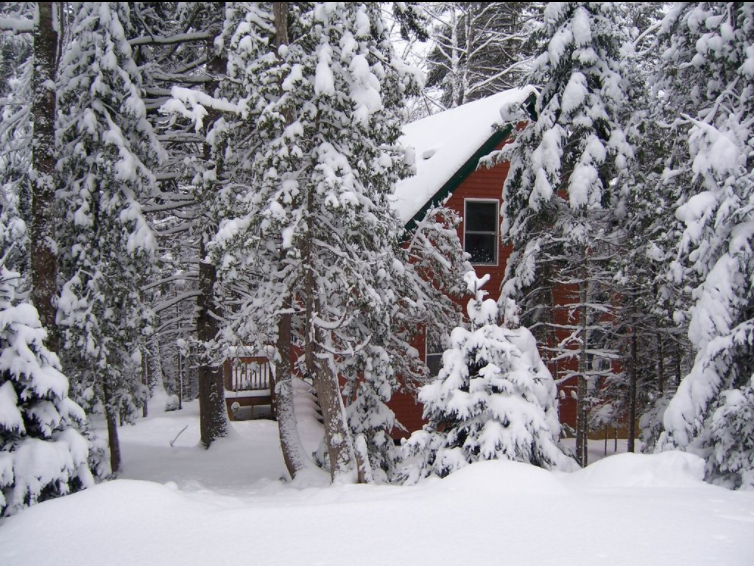 A winter wonderland cabin in Acadia! Spend your days ice skating on Long Pond, cross country skiing in Acadia on the Carriage Roads, or just hanging out in town at the locals cafe. The Club House is your cozy cabin in the woods. Come have Acadia National Park all to your own in the best season of the year- winter! What I love about the Club House the most is the sunshine. The living room has huge windows on two stories of the southern facing wall. 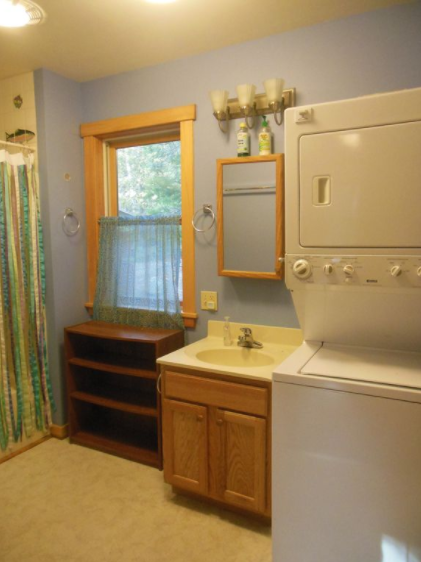 When you’re downstairs, you look right out into the forest. When you’re upstairs, your looking straight into the canopy of the trees and the skylights let in even more sunshine. The interior design of the house started with the find of beautiful metal kitchen cabinets from the 50’s and a colorful rug from the 60’s. From there we continued with a retro chrome kitchen table and bright colors throughout. 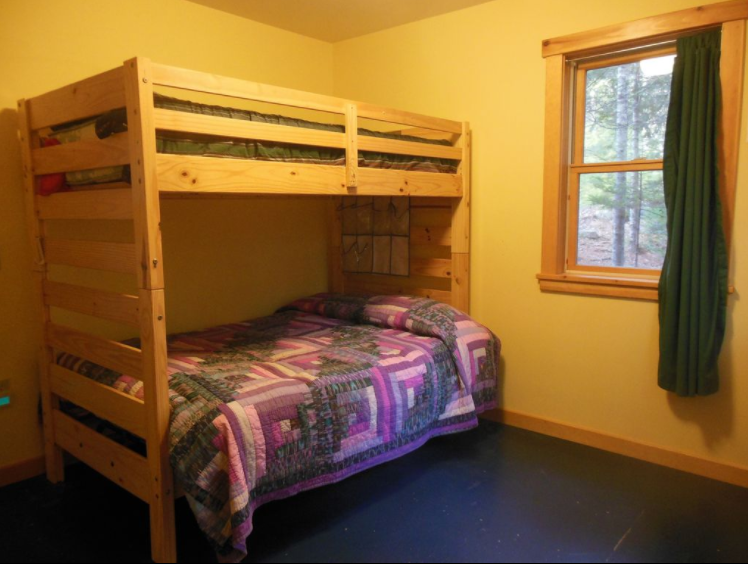 The downstairs bedroom is a single over double bunk bed while the upstairs open bedroom has a king. If even more bed space is needed, the living room couch is a futon. Located in the heart of Mount Desert Island, the Club House is no more than 10 min from all attractions including the secluded hidden treasures on the “quiet side” of Acadia National Park. From Bar Harbor and the breathtaking Park Loop Rd to Bass Harbor and its famous lighthouse, you’ll spend more time exploring the wonders of this lovely island and less time getting there. Best of all, it is a short 5 min walk to Long Pond, the largest lake on the island where there is some of the islands best ice fishing and skating.